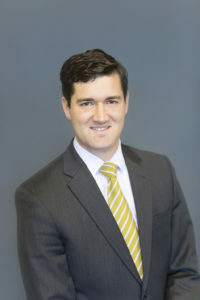 John K. Berry – oversees all redevelopment efforts and performs due diligence underwriting for all Covenant acquisitions. John’s responsibilities include playing a senior role in the asset management team for a diverse portfolio of real estate assets. He manages the development and execution of renovation plans, manages resources related to day-to-day decision making, and plays an integral role in the review and approval of annual business plans with third-party fee managers. John joined Covenant in March of 2013 as a Project Manager. From 2011 to 2013 he was enrolled at Vanderbilt’s Owen Graduate School of Management and interned for Boyle Investment Company where he performed financial and strategic analysis on commercial developments and completed due diligence on real estate investments. From 2006 to 2010, John was an Officer in the US Navy, where he served in multiple at sea assignments aboard a variety of U.S. Navy platforms. His most recent assignment was serving as the Damage Control Assistant on the USS Roosevelt. John holds a Masters of Business Administration with a concentration in Corporate Finance, Accounting, and Real Estate from the Owen Graduate School of Management at Vanderbilt University (2013). He also holds a Bachelor of Business Administration with a Major in Finance from the University of Tennessee (2006).